Black Panther #1 (2016) Regular Brian Stelfreeze Cover. Ta-Nehisi Coates Story. Brian Stelfreeze Pencils. 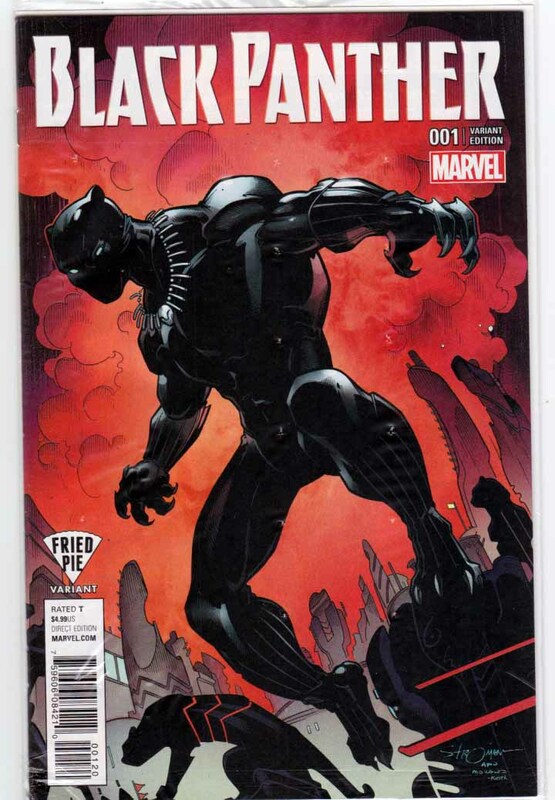 A story about dramatic upheaval in Wakanda and the Black Panther's struggle to do right by his people as their ruler. The indomitable will of Wakanda - the famed African nation known for its vast wealth, advanced technology and warrior traditions - has long been reflected in the will of its monarchs, the Black Panthers. But now the current Black Panther, T'Challa, finds that will tested by a superhuman terrorist group called The People that has sparked a violent uprising among the citizens of Wakanda. T'Challa knows the country must change to survive. The question is, will the Black Panther survive the change? Black Panther #1 (2016) Fried Pie Variant Larry Stroman Cover. Ta-Nehisi Coates Story. Brian Stelfreeze Pencils. 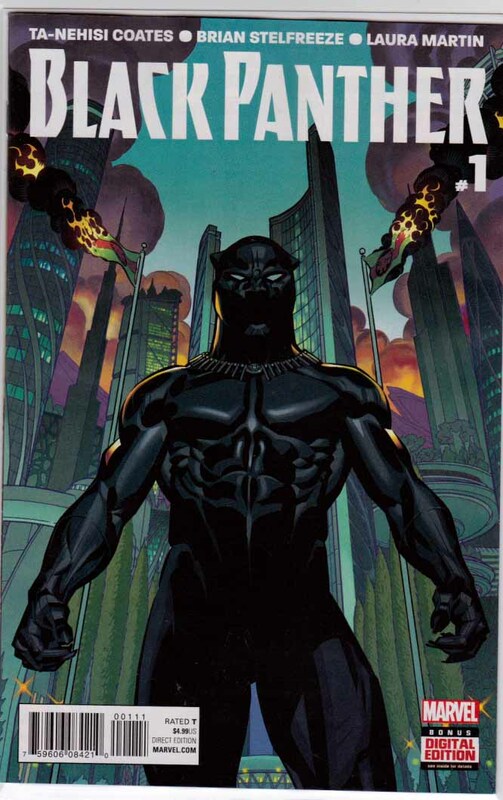 A story about dramatic upheaval in Wakanda and the Black Panther's struggle to do right by his people as their ruler. The indomitable will of Wakanda - the famed African nation known for its vast wealth, advanced technology and warrior traditions - has long been reflected in the will of its monarchs, the Black Panthers. But now the current Black Panther, T'Challa, finds that will tested by a superhuman terrorist group called The People that has sparked a violent uprising among the citizens of Wakanda. T'Challa knows the country must change to survive. The question is, will the Black Panther survive the change? Black Panther Annual #1 (2018) Daniel Acuna Cover. Christopher Priest Story. Ken Lashley & Mike Perkins Pencils. Three legendary BLACK PANTHER writers return to Wakanda! Don McGregor's famous storyline 'The Panther's Rage' has become one of the most well-respected runs in comic book history. 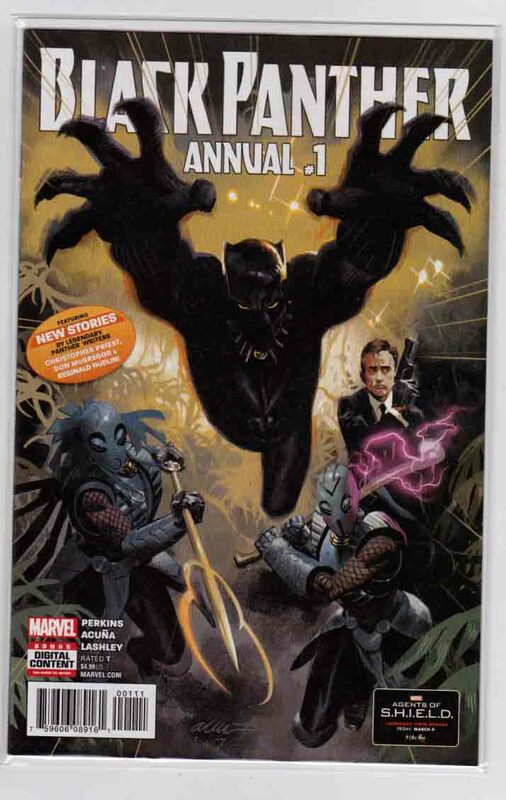 Now, the author who redefined Wakanda for a generation is back to expand the mythos! Bearing the heart-shaped herb that defines the Panther legacy, King T'Challa leaves his beloved country for a heart-wrenching mission in the streets of New York.